What Is The Most Popular Sushi in Japan? Let's Find Out. Sushi is delicious. There's a variety of different kinds, but certainly everyone has his or her favorite. And if you do the math, you should be able to deduce the most popular kind of sushi in Japan. So let's do that. Math. 1. Medium-Fatty Tuna (chutoro or 中とろ) at 15.3 percent. 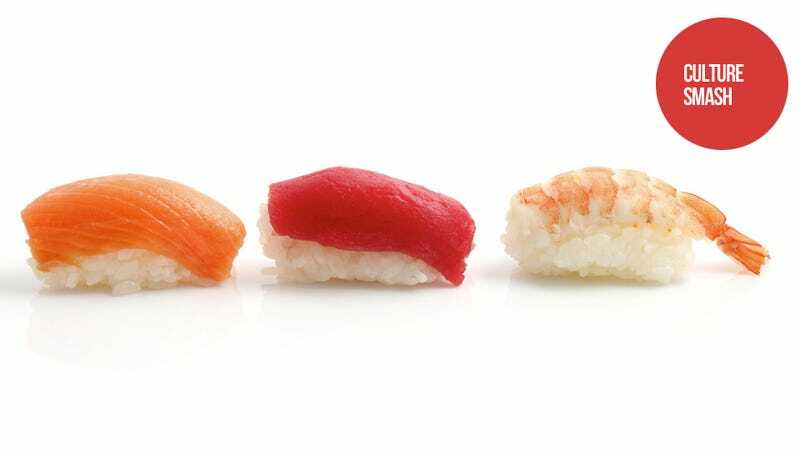 Other types of sushi followed in popularity, such as fatty tuna, uni, ikura, and so on. If you dig into the numbers, things get even more interesting. For men, the post popular sushi was medium-fatty tuna at 18.4 percent, while for women, the post popular sushi was salmon at 12.3 percent. And then if you break it down by area, medium-fatty tuna is the most poplar in the Kantou region (Tokyo), the Chubu region (Nagoya, Shizuoka, Niigata, etc), and the Kinki region (Osaka, Kobe, Kyoto). However, in the northeastern part of the country and in Hokkaido, the most popular kind is fatty tuna. In Kyushu, the most popular kind is uni, while in Hiroshima and Shikoku, there's a tie in popularity between hamachi, uni, and salmon. Digging even further, the most popular kind of sushi people first order when they sit down at a sushi restaurant is red tuna, using it as a barometer of sorts to see how good the restaurant's sushi is! Then the most popular sushi for people's last order of the meal is tamago, saying it's a nice way to end a meal. We actually didn't do any math—Asahi did. Thanks, Asahi! But there were numbers and raw fish, so hopefully that's enough for you, dear reader. My favorite kind of sushi is probably fatty tuna or salmon, depending on my mood (or in the case of pricey fatty tuna, my wallet). What about you?